F4P International works with a number of stakeholders locally, nationally and internationally, with the aim to share awareness and knowledge about values based and life skills coaching. If you’re interested in working with us or any of our existing partners, feel free to contact us. The School of Sport and Service Management (formerly Chelsea College) is the physical home of F4P. It is generally regarded as the universities’ in-house NGO. The university provides logistical and administartive support for F4P including conforming to all UK charity laws via the Philanthropy and Alumni Engagement Department. University staff and students are active volunteers and lead on training, research and monitoring /evaluation processes. 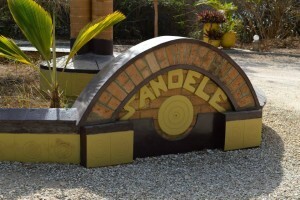 The Sandele Foundation was born from the work of the Sandele Eco Retreat and Learning Centre. Sandele is an environmentally operation in the village of Kartong, with a focus on sustainable busines spractices to support the economy, environment (e) and community (co). Its founders, Geri Mitchell and Maurice Phillips have built it on the basis of renewable resources and simple sustainable technologies, promoting local involvement and positive tourism. The Sandele Foundation also partners with the Peer 2 Peer – Capacity Building through Tourism programme from the University of Brighton. During the annual training camp the resort offers accommodation to F4P coaches from across the country, western Africa and the world, the learning centre provides the facilities whilst the foundation provides a base for F4P Gambia’s legal needs. The focus is on capacity building through sport and physical education. The People’s Coast of The Gambia comprises of the villages of Berending, Gunjur, Kartong and Medina Salem. Their respective sports committees funded by each respective community form the lead on F4P Gambia with the Sandele Foundation. Headed by F4P Gambia co-founder Abdoulie Manneh, each village have representation on the board and send delegates to be trained and to train others in the F4P methodology. 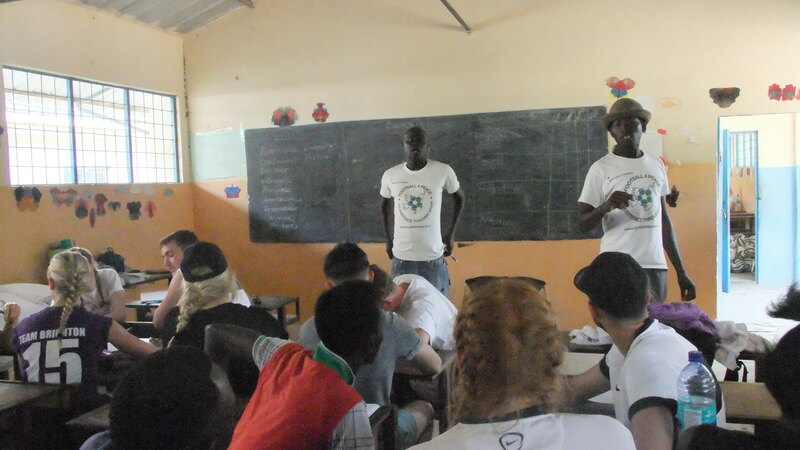 F4P has worked together with the IFA in various cross-community projects, which contributed to the exchange of knowledge, skills and coaching methodology between the two organisations. The FA places strong emphasis on values based coaching, which is one of the main principles in their Good Relations strategy ‘Football for All’ and their Youth Strategy ‘Let them Play’. The IFA train have committed to training their community and school coaches in the values based coaching and working with fellow governing bodies – Ulster GAA and Ulster Rugby Union to provide sport for all the people of Northern Ireland. The Peace Link is an iconic state of the art sporting facility on the edge of Clones, Co. Monaghan. The facility is at the heart of a movement to build better relationships between people in the Clones (Co. Monaghan) /Erne East (Co. Fermanagh) area, using sport as the medium. The organisation provides sports facilities for a variety of sports, including football, GAA, rugby, bowling, karate, archery, badminton, basketball, boccia etc. F4P has run an International Training Camp in collaboration with The Peace Link, using their facilities. The IDP based on the Inishowen Penninsula in County Donegal are long time supporters of the work of F4P and from 2005 – 2014 were the base of F4P Ireland. Its focus is on the economic, social and cultural development of the Inishowen Penninsula and peace work with its direct neighbours across the border in County Derry / Londonderry. F4P continue working in partnership and regularly lead training at the Letterkenny Institute of Technology. UJ houses the first African Olympic Study centre. In 2010 they published Life Skills and Life Games – manuals used by primary and secondary schools across South Africa guiding teachers on how to deliver life skills and values education through indiginous games, modified activities and physical activities with limited resources. At the heart of the manual is the F4P methodology. UJ is one of the founding member of the South African Universities Physical Education Association (SAUPEA) with UNICEF which has the aim of advocating physical education with values and life skills outcomes within the national curriculum and providing support, training and guidance for the government, schools and teachers. KSM is a Korean NGO aiming at delivering humanitarian aid to North Korean refugees in South Korea and enhancing reconciliation and mutual understanding between North and South Koreans. They use sport as one of the mediums for peace education and the partnership between F4P and KSM has led to the establishment of F4P Korea.